Jane Elizabeth Schoewe, ‘Deena Bell’, age 73, of Winona, entered into the Lord’s presence in the early morning hours of Monday, January 14, 2019, as she was walking from her residence to a bus stop as she routinely did every day. Jane was born in Glenwood, Iowa on November 23, 1945. She grew up and lived in Iowa, Texas, Germany, France, Illinois, Wyoming, Panama Canal Zone, Minnesota and Washington. She graduated from Winona State and was an avid Winona State Warrior sports fan. For many years, Jane had worked in Seattle, Washington, and Minneapolis, Minnesota, before settling in Winona. Jane attended St. Martin’s Evangelical Lutheran Church in Winona for many years. She had an in-depth knowledge of music and loved to sing. She was an active member in many choirs in the area including the St. Martin’s Senior and Handbell choirs, and the Winona Oratorio Chorus. She participated in several of the church groups including Women in Mission and Circle Phoebe. Always sharing the Lord’s Word with all those that would listen, and sometimes those that would not, Jane was a true disciple of Christ preaching the strength of His Word and encouraging others to follow in the ways of our Lord. Always caring and loving, Sister Jane would often call her friends and nephews to warn them of bad weather headed their way and pray for them in times of need. For many years she assisted her father, the late Pastor Theodore M. Schoewe, in the editing and production of Articles of Faith in the Winona Post. She was a loving sister and caring aunt that loved children. For years she donated her time in volunteering to help at the St. Martin’s Lutheran School correcting papers and assisting wherever needed. Jane will be missed dearly by all who knew her. Jane was preceded in death by her father, Reverend Theodore M. Schoewe and mother, Donna C. (Loughrey) Schoewe. Jane is survived by her brothers: John of Winona; Mark (Janie) of Troy, Ohio; Philip (Karen) of Lubbock, Texas; and Teddy (Charleen) of Winona. She had three nephews, one great-nephew, and one great-niece. Visitation will be held from 11 AM until the funeral service at 1 PM on Tuesday, January 22, 2019, at St. Martin’s Evangelical Lutheran Church. The Reverend Richard A. Moore will officiate. Jane will be laid to rest in a family burial in the spring at Woodlawn Cemetery in Winona. 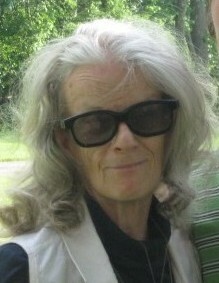 Online condolences or memories may be left for Jane’s family at www.watkowski-mulyck.com.